Read what Columbia Journalism Review had to say in an April 3, 2018, article about IowaWatch’s work with high school journalists. “More than any one-off accomplishments that may be credited to IowaWatch’s name, the success of its high school programming speaks to the growing necessity for initiatives that raise media literacy among young Americans,” Fields writes in the article. THIS WORK IS SUPPORTED WITH DONATIONS AND GRANTS. TO LEARN HOW IOWAWATCH PROJECTS LIKE THIS ARE IS FUNDED AND HOW YOU CAN SUPPORT THEM, GO TO THIS LINK. 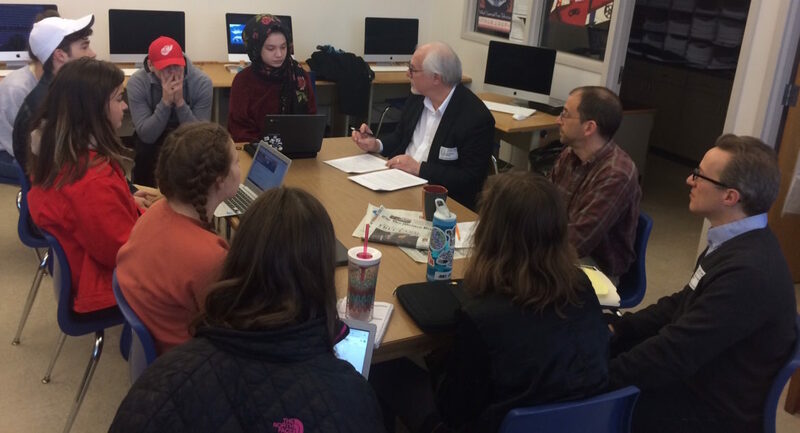 In an attempt to share the values and possibilities of non-profit journalism, Robert Gutsche Jr., director of outreach at the Iowa Center, published a story this spring targeted at high school journalism students and their teachers. The article, which encouraged students to “start digging” into their communities and schools appeared in the February/March issue of Quill and Scroll, a national high school journalism magazine.